Roan & Black sits above a contemporary art gallery. Follow the stone path to the stairs to access the apartment. Enter via the screened porch. This is a lovely spot for morning coffee or evening drinks. The hallway leads you to the open concept living space. The dining space and kitchen. 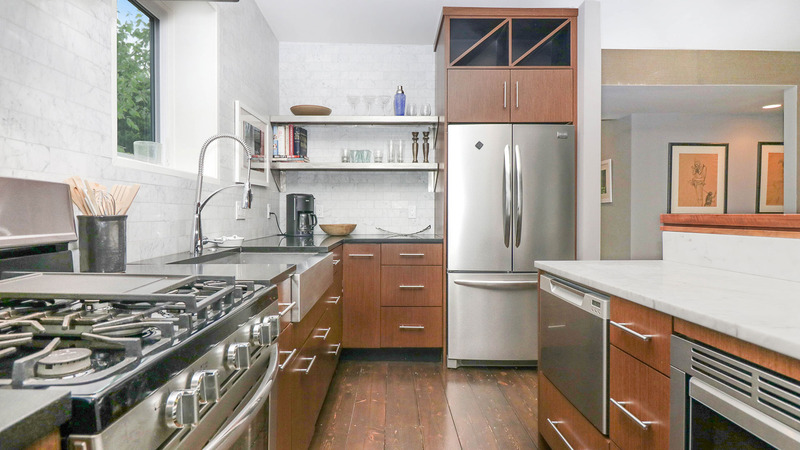 The kitchen features high-end stainless steel appliances. The kitchen gives way to the living area. Thoughtful, contemporary design elements throughout. Relax and read or watch TV in the living area. The guest bedroom with queen bed. Thought-provoking art decorates every room. The master bedroom offers a king-size bed. It also features a spacious closet. The master bathroom with oversized walk-in shower. 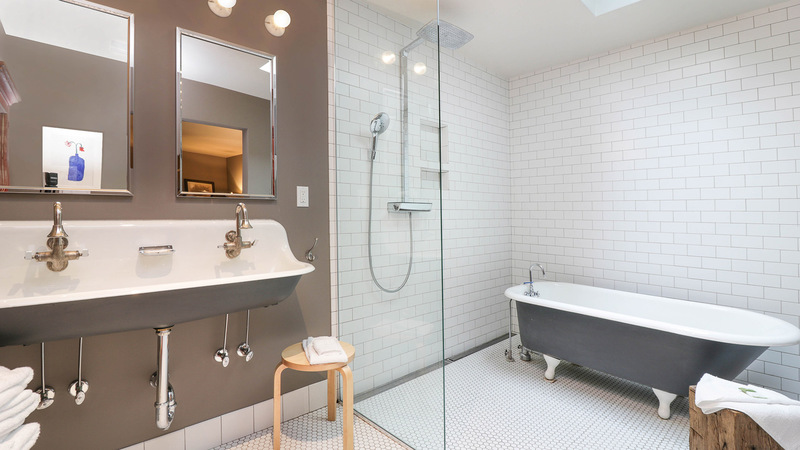 Old meets new in the modern bathroom with classic clawfoot tub. Dual shower head in the stand-in shower. The backyard is yours to explore. Grill and dine out on the patio. These chairs around the fire pit are exceedingly comfortable. You can't miss the white and wood building on Blue Star Highway as you head toward the heart of Saugatuck, but you will miss the charming apartment that sits on top of the contemporary art gallery after spending a long weekend relaxing on Michigan's Art Coast. This apartment is an art enthusiast's oasis located above the Roan & Black gallery one mile from downtown Saugatuck. Access the home via a private entrance located on the side of the building. Enter via a cozy screened porch overlooking the lush backyard. 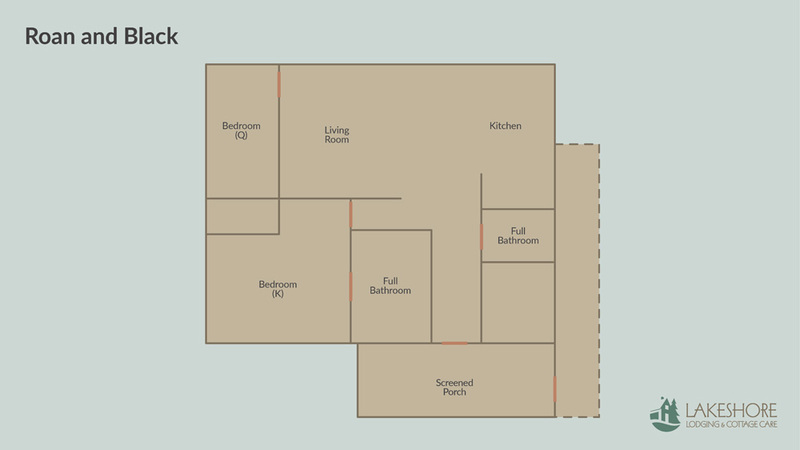 You'll find the inside of the apartment is as thoughtfully prepared as its surrounding grounds. 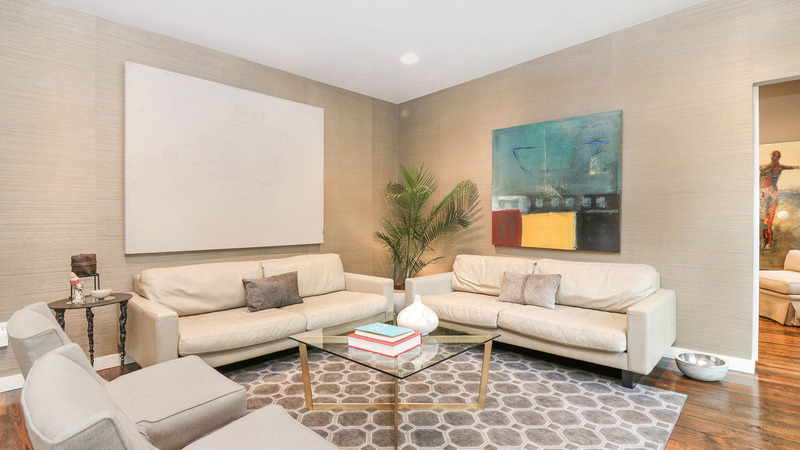 Contemporary design elements and art decorate the home. 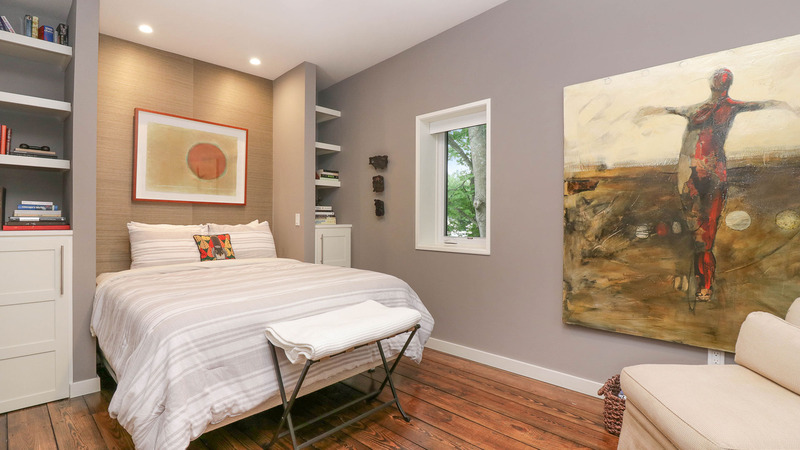 The master bedroom offers a king bed and en suite bathroom with an oversized walk in shower and claw foot tub. The guest bedroom has a queen bed. There is a second guest bathroom with a stand-in shower as well. Venture outside to explore those grounds, filled with vibrant foliage and dotted with sculptures. Relax in the sunshine on the patio or around the fire pit. Head into town to explore Saugatuck's abundance of art offerings, and maybe try your hand at creating something yourself.